Terra was born and raised in San Diego. She’s been dedicated to public service and social and environmental justice since high school, when she started her school’s first recycling program, led a community campaign to clean-up toxic stormwater run-off, and sued the city to end a discriminatory curfew law that violated the First Amendment and targeted youth of color. Public service is a family calling. Her grandfather Frank Lawson, a career marine stationed at Camp Pendleton, was killed in battle in Korea in 1950. Her other grandfather, Herb Remer, fought in the Pacific in World War II with the Navy. Her grandmother, Beverly Remer, taught junior high at an inner city school in the Bronx. Terra is an award-winning college professor, economist, and attorney. She served in the Obama Administration as Senior Advisor to the U.S. Department of the Treasury, and directed policy on democratic transitions at the Council on Foreign Relations. She has also worked at Amnesty International, and as a consultant for the World Bank, the United Nations, and the Open Society Foundations. She’s the founder and managing partner of Catalyst, a social change strategy firm that advises investors, philanthropies, nonprofits, advocacy groups, policymakers, and multilateral organizations on sustainable development and human rights. She currently teaches graduate students in public policy at the University of California San Diego, and was previously a professor of international affairs and economics at The New School, where she led the trustees to implement one of the nation’s first institutional climate change divestment policies. Terra’s scholarship has been recognized with the prestigious Grawemeyer Award for Ideas Improving World Order, and been awarded multiple grants and fellowships from the National Science Foundation, Stanford University, and Harvard University. Her writing and research appears regularly in the New York Times, The Economist, Foreign Policy, the Washington Post, the Chronicle of Higher Education, Huffington Post, and CNN, among other outlets. Terra never shies away from standing-up for what’s right. She was arrested for protesting the Iraq war, and for organizing to hold global financial institutions accountable. She’s fought to divest from dirty fossil fuel companies and private prisons, promote clean energy and green infrastructure, defend human rights and workers’ rights worldwide, end the influence of money in politics, stop predatory lending and redlining, and reform the criminal justice system. After living in New York and Washington for 15 years, in 2014 Terra returned home to San Diego because she fiercely loves her hometown, and missed the ocean and sunshine and the best fish tacos anywhere. She also believes that the most effective way to make change in our country right now is at the local level, especially in California, where we can experiment with bold new ideas and make meaningful progress on issues that have immediate impacts on peoples’ lives. In this vein, she recently served as founding co-chair and chief strategist for the broad-based community effort Flip the 49th! Neighbors in Action (Now Neighbors in Action), which helped catapult Congressman Mike Levin to a 13-point victory, replacing Darrell Issa in the 49th Congressional District. 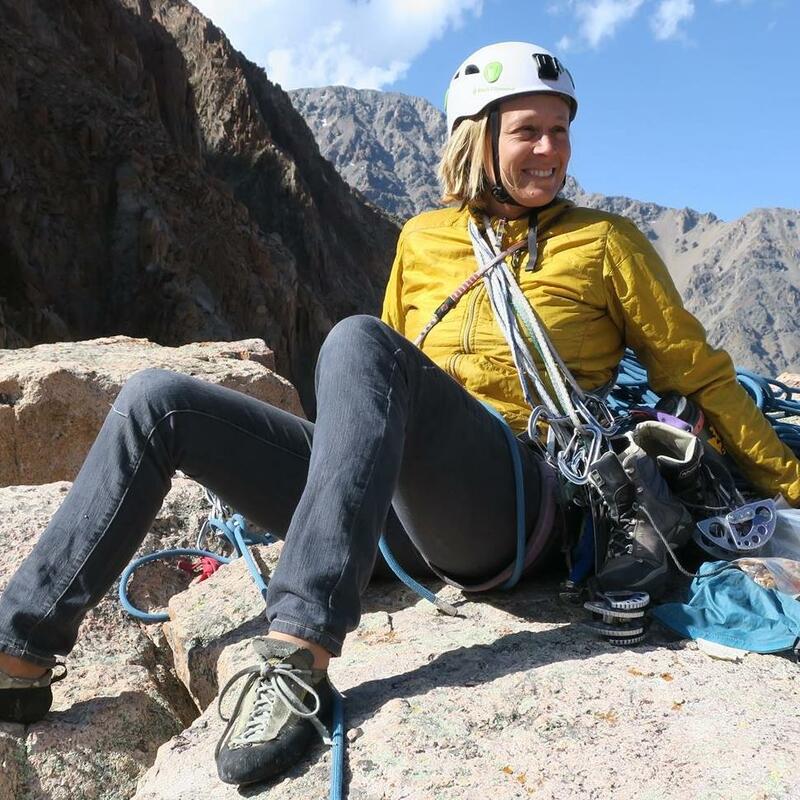 As a passionate defender of wild spaces and a staunch advocate for public emergency services, she works as a backpacking and rockclimbing instructor for the National Outdoor Leadership School (NOLS), and is a certified Wilderness Emergency Medical Technician (W-EMT). When she’s not climbing or hiking in her free time, she can be found surfing her favorite secret spot near her home in Encinitas. Terra attended Grant Elementary and Dewey Elementary, and graduated from La Jolla High School. A Dean’s Merit Scholar, she earned degrees in law, ethics, politics, and economics from Yale University (B.A. ), New York University (Ph.D.), and New York University School of Law (J.D. ).